The following article originally appears in Volume 9, Issue 2, of the Montgomery Advocate , the student newspaper of Montgomery College in Rockville, Maryland, Tuesday, September 20, 2005. On Wednesday, September 7, Douglas Gleason, the Acting Instructional Dean of Fine, Performing and Visual Arts at the Rockville Campus died. Gleason started at Montgomery College in 1989 teaching photography and held numerous titles at MC including. Administrative Associate to the President of the college in the spring of 1996 as well as serving as the department chair of Visual Communications Technologies (now Communications Arts Technologies) for 6 years and as the Chair of General Education Committee. 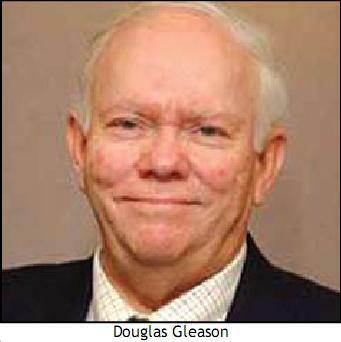 Gleason was also a news writer and photographer for the U.S. Air Force from 1969 through 1971. Gleason spent time as a professor of photography at Chowan College in Murfreesboro, North Carolina where he was greatly respected by students and faculty. “He was very easy to work for,” said Shirley Henry, Gleason’s Secretary in the Communications Art Technologies Department. “He looked for the best in everyone. He never forgot my birthday or Professional’s Day…I always got flowers and candy,” she said. Gleason’s cremated remains will be placed in the Columbarium at Arlington National Cemetery on October 17 at 10:30 a.m. Friends and Family are encouraged to attend.